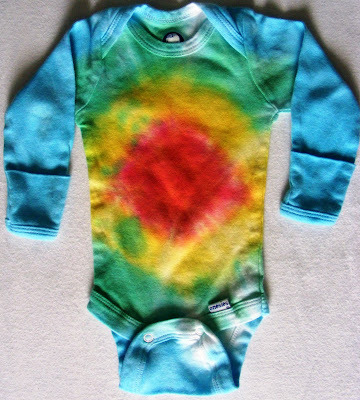 Nothing beats custom made baby tie-dye! Now if the little guy would just get here already so he can start wearing his collection of totally adorable clothes, oh and so we can show him how much love and adore him! I have been scrubbing all weekend! Everyone seems to think I'm nesting...that may be true however I think I would be doing this anyway. It's fall cleaning and more so than nesting I think it's an anxiety reliever! Shampooing carpet is tougher than one would think. My forearms and biceps and surprisingly sore. 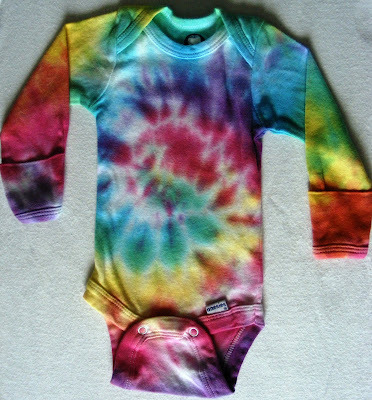 Baby will be sooo hip with these! Very cool.